Don’t bet any money on the Nintendo Switch being a powerful console, especially in the portable config. The technical specs for the processor and graphics unit of the Nintendo Switch have reportedly leaked. In a Digital Foundry report, the site examines how each of the two components will be function in the console’s handheld and docked modes. The report notes that the Switch will indeed feature two performance configurations. The docked config is where the Switch is most powerful, as expected. Unfortunately, the dock itself doesn’t offer another GPU or CPU, but only serves as a mean for the console to have sustained power input, which allows for higher clock speeds than what’s possible on the go. CPU-wise, the Switch cores will run at 1020MHz regardless of setup. What does change with docking, however, is the memory controller (from 1331MHz to 1600MHz), and the GPU speeds. Interestingly, developers have the freedom to use the full memory bandwidth if they want it. The GPU in particular gets the highest boost, allowing the docked configuration to reach 768MHz, compared to a meagre 307.2MHz when handheld. Curiously, Nintendo seems to have under-clocked the Tegra X1 GPU even in the docked mode, compared to what the Tegra X1 can allow for. Digital Foundry gives the example of the Shield TV, which uses the same Tegra X1 chip but runs its GPU at 1GHz. The low speeds (40 percent) of the portable config are probably an attempt to manage thermal and battery life. 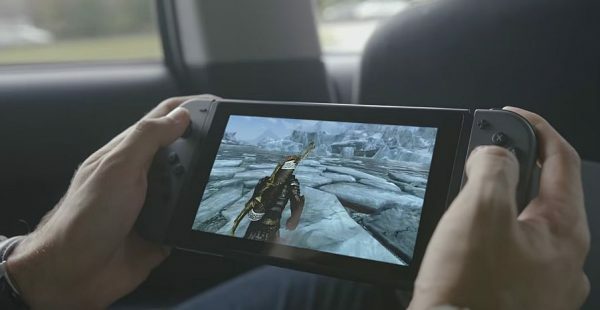 “As things stand, a docked Switch features a GPU with 2.5x the power of the same unit running from battery,” says the report. These specs are unlikely to change from now until launch, as the site notes how the documentation sent to developers mentions that the specs are final. The rest of the report is available at the link. In it, Digital Foundry explores the picture the GPU and CPU speeds paint when it comes to resolution and frame-rate on the device.